Edwin Encarnacion has asked the Jays to present him a contract extension proposal before the end of spring training, 2016. He will become a free agent in 2017. 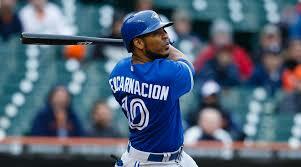 Encarnacion has averaged 35+ home runs and 100 RBI or the last 4 seasons with the Jays.